But then, why get a backpack made from virgin materials when you could have a backpack made from let’s say, plastic that would otherwise be polluting the oceans? Or used tarpaulin that would otherwise take quuuiiiite a bit of space in landfills? Here are 4 backpacks that are not only beautiful but also relieve the planet of a bit of waste. Long story short—this bag is a total dream. The number of pockets inside would please any neat freak and it will keep your stuff dry even during a long rainy walk. 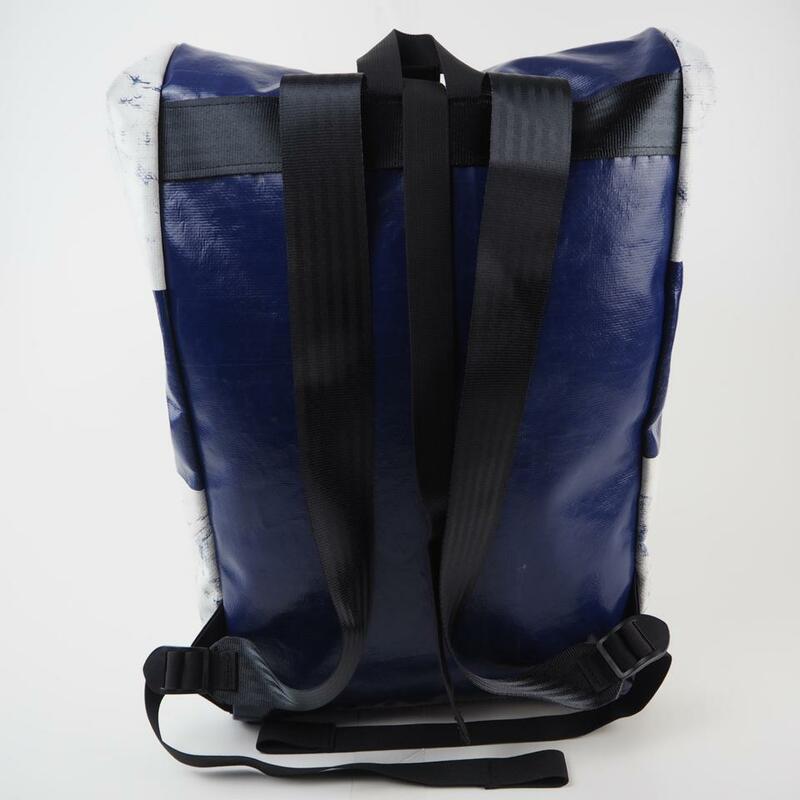 It is made from leftover material from tarpaulin production in Denmark, but the rest of their range also uses industrial bags, lifesaving equipment, sails, tents, seat belts and commercial banners. Oh and, I am a petite person – 1m54 to be specific. So having a bag that can fit that much without making me look like a kid on her first day to school is quite an exploit! M-24 salvages truck tarpaulins, washes them and makes stunning backpacks, duffle bags and accessories out of them! They’re tough, waterproof, and each piece is unique. M-24′ stocks do not last long at all, so I’d highly recommend signing up to be the first to know when new designs are out! Also known as The Mary Poppins bag. Man, the number of things you can put in there without looking like a turtle carrying its house is insane! This beauty is waterproof and made from recycled bottles. Freitag upcycles anything from used truck tarpaulins, discarded bicycle inner tubes and car seat belts. They’ve got quite an interesting range of designs, but this silver one particularly got my attention! If you’re wondering what’s the journey from truck to bag, you can check out their production process here. Thank you to Grünbag and Charlie Feist for sending me their beautiful Alden Backpack and Shiro Backpack!